Hygge. You’ve probably seen this strange word floating around your social media timeline or read it on a list of the latest design trends, but what does hygge mean? Hygge (pronounced “hoo-gah”) is the Scandinavian word for coziness, comfort and well-being. 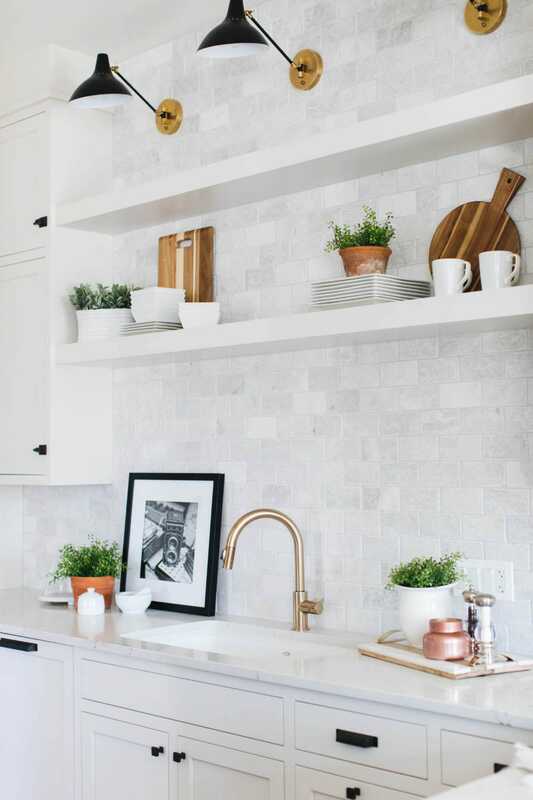 By incorporating these five elements of hygge, you can foster relaxation and establish feelings of warmth in your tiled spaces. Cozy vibes to get you in the hygge mood. What says comfort more than soft textures? Adding oversized blankets and pillows to a room is highly effective because they motivate guests to lounge and settle in. 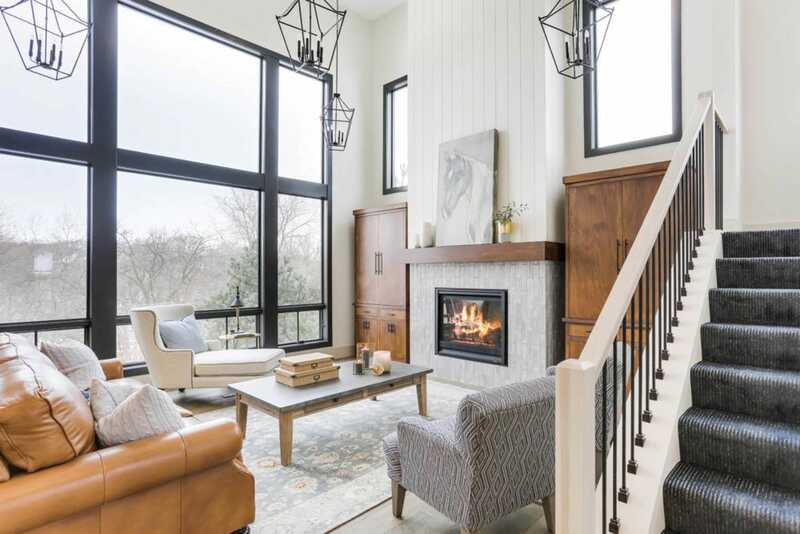 Timber Trails DC created the perfect place to cozy up with a good book. Featured: Bricklane White. Design by Timber Trails DC. Photo by Stoffer Photography Interiors. Soft textured tile can be a surprising element of hygge. 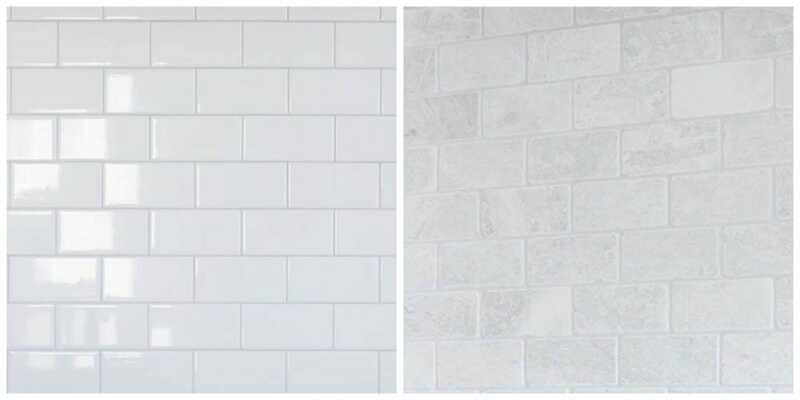 While tile with a high-gloss finish expresses a modern feeling (left photo below), honed and matte finishes add more warmth with their subdued edges and texture (right photo below). 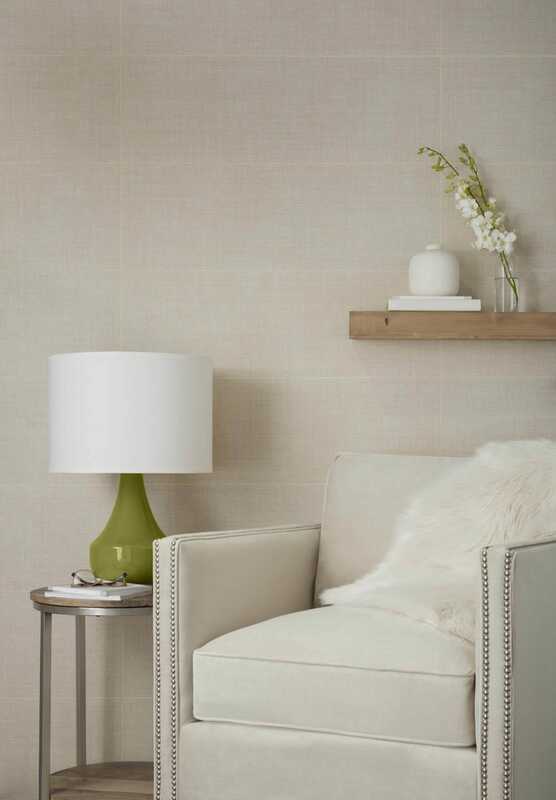 By replicating a soft touched appearance, Tessuti HD Off-White provides a subtle linen pattern and matte texture. Faux fur adds a gentle dash of luxury to complete the serene scene below. 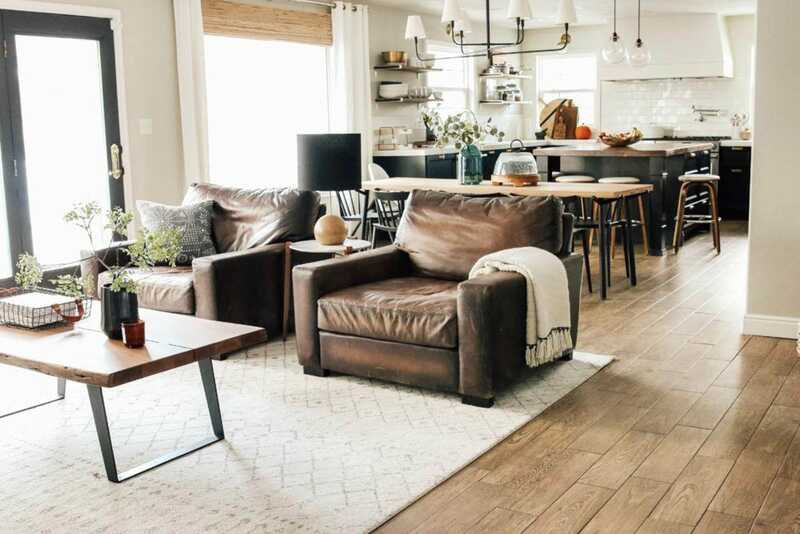 Incorporating warmth transforms an ordinary room into a gathering room. With a fireplace at the heart of your home, it will radiate warmth and comfort throughout each space. If you can’t have a fireplace, you can still achieve the hygge effect with candles and soft, warm lighting. Featured: Splendours Grey. Design by West Bay Homes. Photo by Twin City Visions. Surround your design with tiles that unite the fireplace with the room. 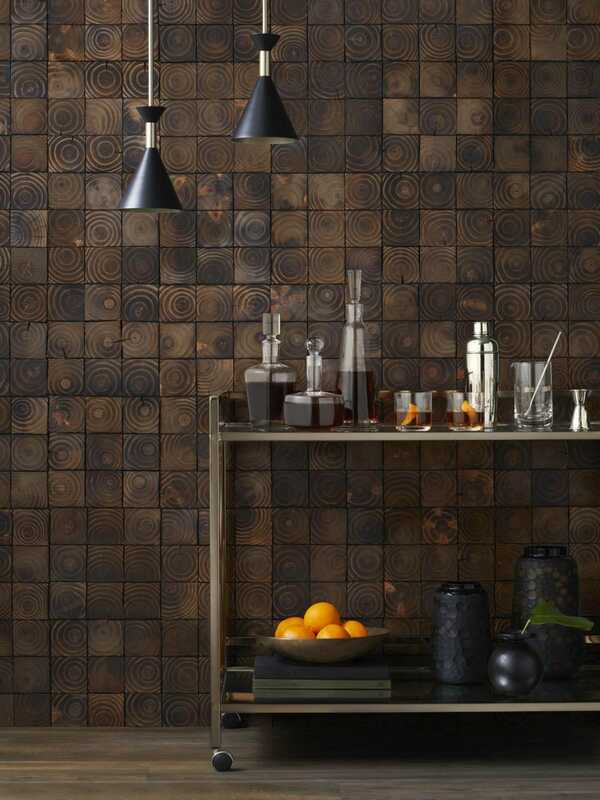 Tiles with a glossy finish reflect light and draw attention to the toasty flames. The goal of hygge is to create warm, fuzzy feelings. Display motivational sayings as artwork in a room. The message of your signage should reflect the attitude or ambiance in your home. Uplifting quotes seamlessly lighten the mood of a room. West Bay Homes created this encouraging message entirely out of mosaic tiles. Featured: Hex Gloss White Mosaic, Hex Gloss Black Mosaic. Design by West Bay Homes. Photo by Twin City Visions. Color plays an important role in any design because it sets the tone of the room. To revitalize your space, incorporate a color palette inspired by nature. Soft tints of grey, green, brown and pink exemplify hygge. Most of all, include tones of white throughout your home because it is the most representative color of Scandinavian chic style. 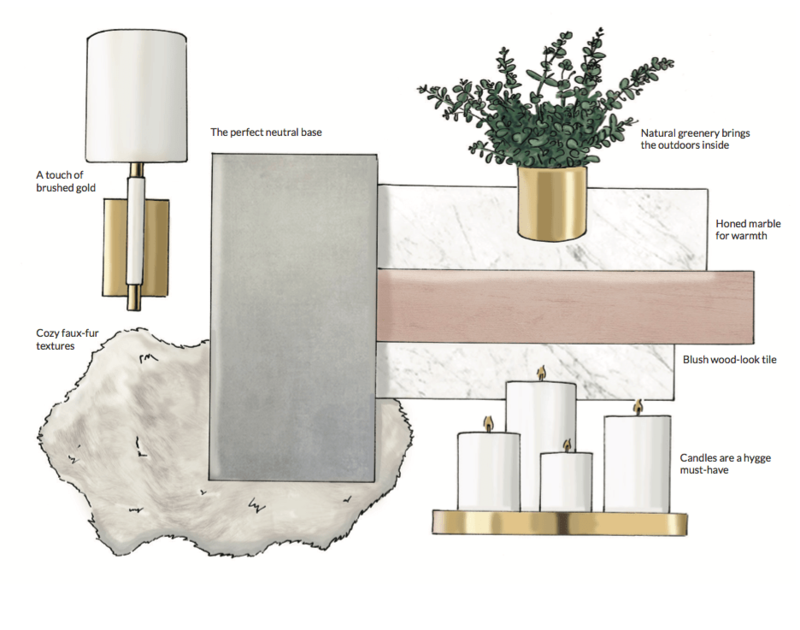 To create a feeling of luxury, embellish your design with accents of gold. Featured: Meram Blanc Tumbled. Design by Timber Trails DC. Photo by Stoffer Photography Interiors. Bring the outdoors in with elements of nature. A common way people escape their busy lives is by immersing themselves in nature. There’s something about nature that rejuvenates the soul. Featured: Noir Honed Chevron Mosaic. Design by Timber Trails DC. Photo by Stoffer Photography Interiors. Lush leaves, bouquets of flowers or potted plants stimulate a hygge feeling in a room. The natural variations in greenery allow endless opportunities for decoration. Vibrant flowers make for great accent pieces while greenery complements the neutral colors in a room. The organic liveliness of plants inspires growth and a better frame of mind. Growing plants in your home doesn’t require a dip into your savings account or a botany degree. The Sill is a great resource for first-time plant parents. They offer a wide variety of beautiful, inexpensive and low-maintenance plants. Installing wood or wood look tile is another great way to bring nature into your home. 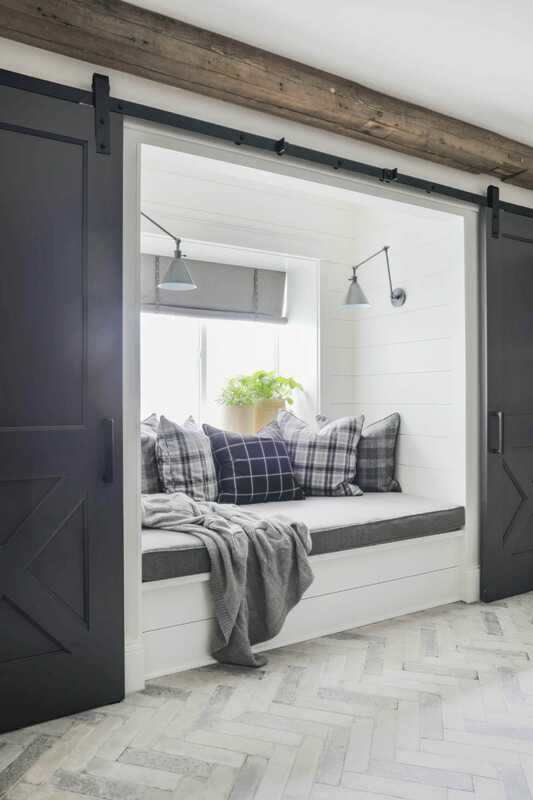 Tile made of real wood creates a rustic presence and helps intensify the coziness of a den. Featured: Nordic Brown. Design by Chris Loves Julia. How can you incorporate hygge into your own home? 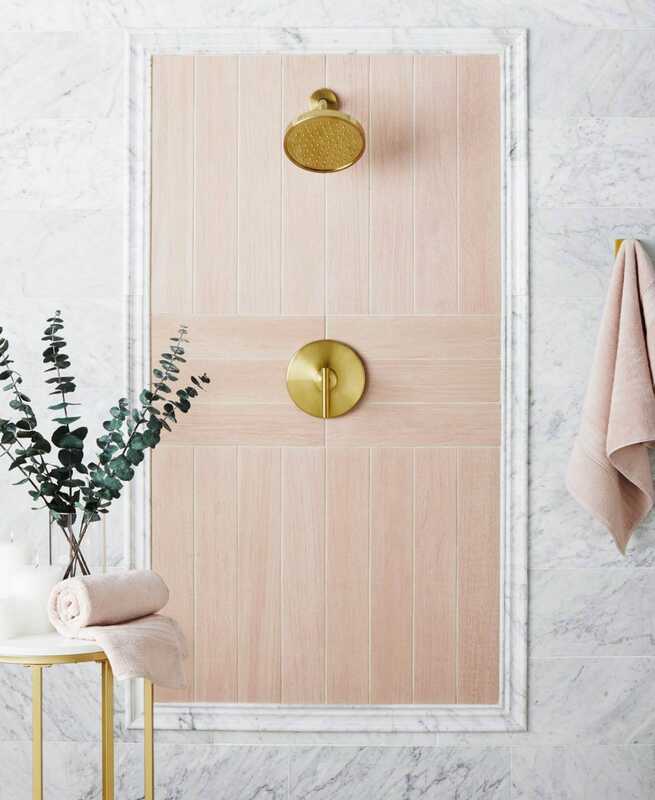 Create a spa oasis in your bathroom with candles, fluffy robes and blush-toned tile. 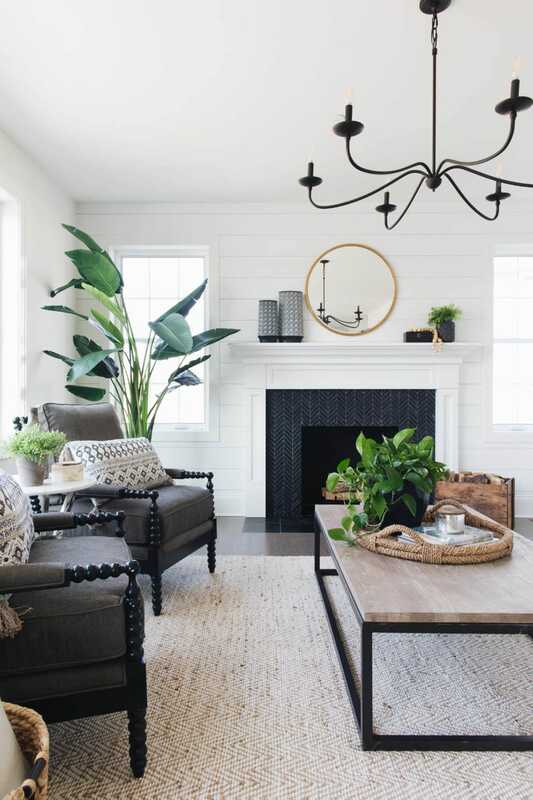 Complete the cabin feel in your den with the roaring flame of a fireplace, wood-look tile and accents of greenery. Boost the blissful aura in a studio apartment with welcoming signs and lush foliage. With the five elements of hygge, you can increase the sense of contentment in any space. Need more cozy inspiration? 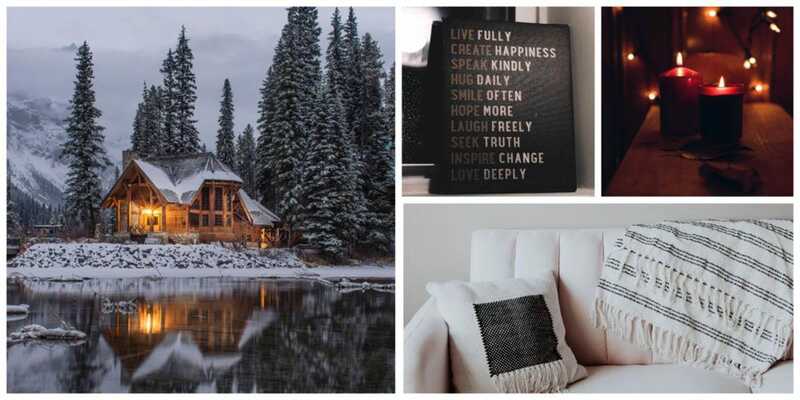 Check out our heart-warming hygge Pinterest board and schedule a design consultation to complete your hygge home.